Liverpool based field marketing company Exsellence has won two leading industry awards in the company’s first 12 months of trading. 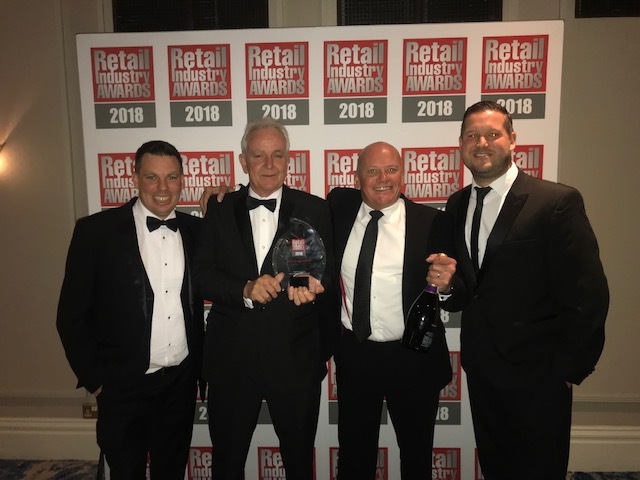 The retail sales specialists scooped Sales Team of the Year at the Retail Industry Awards 2018. They quickly followed this by winning in the category of Most Effective In-Store Marketing at the Field Marketing Awards in October. Established in 2017, Exsellence specialises in field marketing on behalf of consumer brands. The team is responsible for engaging with retail stores; driving sales and managing accounts for worldwide biscuit and confectionery manufacturer Pladis and a number of other customers. Their primary focus is on maximising sales for both the brands and the retailers. It is for their work in this area, on behalf of Pladis that they have become double award winners. By winning these two prestigious awards, Exsellence has proved that the company really does live up to its name. In September, the Excellence team attended Grosvenor House Hotel in London to be honoured alongside household names such as Asda, Lidl, Aldi and Iceland at the Retail Industry Awards 2018. October found the team back in London, on stage at Troxy, accepting their prize at the Field Marketing Awards. “I’m so pleased and proud to have had the hard work of the Exsellence team recognised in this way. When I established the company last year it was with the intention to reimagine the way our customers approach field sales; to give them a better option. Since then, independent measurement has told us that the stores we manage for Pladis are outperforming like-for-like stores by 28% on average, and in some individual cases by as much as 56%.